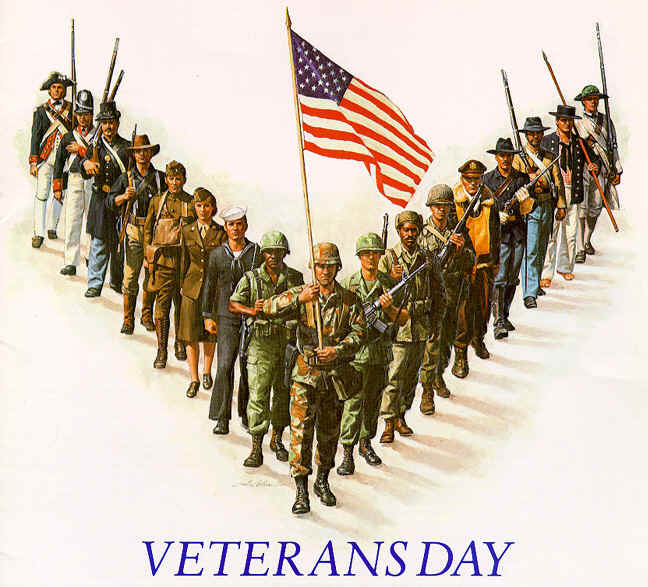 Veterans Day is Sunday, November 11th! In honor of this day, many stores and restaurants will offer dozens of 2018 Veterans Day discounts, freebies, and deals for veterans, active duty military members, and their spouses! Please know that in many cases, proof of military service is required to get these deals. We recommend calling ahead to make sure your local restaurants and retailers are participating (and to verify their ID requirements). All honorably discharged veterans of all United States Armed Forces can now shop the online exchanges, including ShopMyExchange.com! Shopping with the Exchange online gives you access to exclusive military pricing and offers, tax-free shopping, and more. This is a lifelong benefit that will be extended to all who discharge honorably from service. Head here for more details. By the way, Santa, take note – the AAFES 2018 Holiday Toy Booklet has been released! Through November 11th, Academy Sports+Oudoors is offering ALL active duty military, veterans and their spouse and/or dependent children a 10% discount both in-store and online! To redeem in store, simply present your military ID at checkout. Don’t have your military ID? Verify your service using the Troop ID button here. Once you have completed the verification process, please print or take a screenshot of the confirmation page and present it at checkout to receive your discount. To redeem online, before checkout, verify your military status with the Troop ID button on the shopping cart page. Once verified, copy and paste the promo code into the Promo Code section of the shopping cart for single use redemption. Acapulco, Chevys, El Torito, and El Torito Grill are offering all military personnel, past and present, a free meal on Veterans Day from 3 pm until closing time, with a valid ID. At Acapulco, the complimentary meal will be a 3-item combo, choosing among Tacos, Enchiladas, Taquitos, Tamales, and Chile Relleno. At Chevys, the complimentary meal will be a 3-item combo, choosing among Tacos, Enchiladas, Flautas, Tamales, and Chile Relleno. At El Torito, the complimentary meal will be a 3-item combo, choosing among Tacos, Enchiladas, Flautas, Tamales, and Chile Relleno. At El Torito Grill, the complimentary meal consists of a choice between: Two-Item Combo, Fajita Salad, Mesquite Grilled Chicken Tostada, and Carnitas Yucatán. U.S. veterans and active duty military can get a free full-size entrée from a selection of eight favorites at Applebee’s on Sunday, November 11th, at participating restaurants (valid for dine-in only). Proof of military service is required – limit one meal per veteran or active duty military. Go here to find your local participating Applebee’s. On Sunday, November 11th, Back Yard Burgers is offering a free Back Yard Classic Burger to all active duty service members and veterans who show their military ID, discharge papers, proof of service, or who are in uniform. No purchase is necessary for veterans to get this complimentary burger. In honor of Veterans Day, active duty military and veterans can enjoy a FREE breakfast at Bakers Square Restaurant & Pies on Sunday, November 11th, 2018. Veterans and active duty members can select from three Buttermilk Pancakes, three slices of French Toast, or one Belgian Waffle. And, on that same date, all veterans and active duty members who dine in will receive a 20% off the entire check coupon valid for your next visit. Just present a valid military ID to your server when ordering. Go here for more details. All current and retired military can enjoy a free entrée up to $12.95 AND a free Dr. Pepper beverage on Sunday, November 11th, with military ID, valid for dine-in only. Military personnel can also reserve a Pizookie through their Buy a Hero a Pizookie Program. Veterans and active members of the United States military are invited to enjoy a free pizza, pasta, or salad entrée from California Pizza Kitchen’s Veterans Day menu on Sunday, November 11th. Plus, participating guests will receive a card to redeem for a Buy One, Get One Free offer from November 12th – 18th, 2018. Head here for more details. Chili’s is offering veterans and active military members a free meal from the following choices: Chicken Crispers, Margarita Grilled Chicken, Bowl of Chili or Soup & Salad, Chicken Bacon Ranch Quesadillas, Just Bacon Burger, Oldtimer with Cheese, or Cajun Chicken Pasta. Go here for more details. To celebrate the contributions of our military around the country, Chipotle Mexican Grill is offering a special buy-one-get-one (BOGO) offer from open to close on Veteran’s Day, Sunday, November 11th. The BOGO promotion will be available for all active duty military, reserves, national guard, military spouses, and retired military with valid ID, at all restaurants in the U.S. from open to close on Veterans Day. The offer is valid on burritos, bowls, salads, and taco orders. On Monday, November 12th, veterans can get a free entrée at participating Claim Jumper locations with valid ID. Go here for more details. Every Veterans Day, all Cotton Patch Cafe restaurants are proud to serve their award-winning Chicken Fried Steak or Chicken Fried Chicken free to all Veterans and Active Duty Military. On November 11th, Cracker Barrel will offer veterans a choice of a free piece of Double Chocolate Fudge Coca-Cola Cake OR a Crafted Coffee, such as the new limited-time Southern Praline Latte offered through December 30th at all 656 Cracker Barrel Old Country Store locations nationwide. In observance of Veterans Day, participatingDenny’s locations nationwide are offering service members a free Build Your Own Grand Slam on Monday, November 12th, from 5 am to noon with a valid military ID or DD 214. This diner staple includes a choice of four delicious breakfast items such as two fluffy buttermilk pancakes, two eggs or egg whites cooked to order, two sizzling bacon or turkey bacon strips, buttermilk biscuits, or hash browns! On Sunday, November 11th, Dunkin’ Donuts is offering a free donut to veterans and active duty military! Anyone who shows a military ID at participating Dunkin’ Donuts restaurants nationwide will be offered a free donut of their choice with no purchase necessary, while supplies last. Limit one per customer. On Sunday, November 11th, and Monday, November 12th, in honor of Veterans Day, Famous Dave’s is offering all former and current military personnel a free 2 Meat Salute served with choice of a side and a cornbread muffin. Must have valid photo identification and proof of military service (including U.S. Uniformed Services ID card, form DD-214, or current leave and earnings statement with photo ID). During Veterans Day weekend (November 9th – 11th), veterans can receive 50% off at Fogo de Chão Brazilian Steakhouse. Contact your local restaurant for more details. On Monday, November 12th, from 5 – 9 pm, veterans can get a free “Thank You” Dinner from Golden Corral, valid for dine-in only. Go here for more details. On November 11th only, veterans can stop into their local Great Clips to receive a free haircut or a free haircut card to use at a later date, valid through December 31st. Just show your military ID or DD 214 form. Non-military customers can purchase a service at a U.S. Great Clips salon on Veterans Day (November 11th) and get a free haircut card to give to a veteran you know. Hooters welcomes all active-duty and retired military to stop in for a free meal this Veterans Day as a “thank you” for their service. On Sunday, November 11th, all veterans will receive a free entrée from the Hooters Veterans Day Menu by presenting a military ID or proof of service at any Hooters location nationwide. Many Hy-Vee stores celebrate Veterans Day each year by offering a free breakfast buffetto all veterans and active-duty military members as a way of thanking veterans and military members for their service. Head herefor more details. All active duty and retired veterans are invited to come in and enjoy a free stack of Red, White, & Blue Pancakes on Sunday, November 11th. Contact your local store for more details. On November 11th, all veterans can enjoy 20% off at Joe’s Crab Shack with service identification or military ID/badge, valid for dine-in only (excludes alcohol). If you are a veteran or are currently serving in the military, you can get a free admission for yourself AND one guest to Knott’s Berry Farmfrom November 1st – 15th, 2018, and November 26th – December 21st, 2018. Keep in mind that the eligible person must be present. Proper I.D. will need to be presented at the entrance gate. In addition, veterans/active military will be able to purchase up to six additional tickets for just $39 each from November 1st – 15th or $45 each from November 26th – December 21st. On November 11th, all veterans and active duty military will get a free donut and 12oz coffee at LaMar’s Donuts. On Sunday, November 11th, from 11 am – 2 pm, veterans and active military members can receive a free $5 HOT-N-READY Lunch Combo. Limit one promotional item per veteran or active member – no coupon required to redeem the offer. Veterans and military personnel must present proof of service (such as ID card with veteran designation, DD-214 form, or current military-issued ID card). On November 11th from 11 am – 6 pm, former and active-duty military members can get a free meal from their American Roadhouse Meals menu – no coupon required. Just drop in on Veterans Day with your proof of service and an appetite, and take your pick from eight great meals free of charge. On November 11th, Margaritas Mexican Restaurant is offering all veterans and active duty military a free entree with valid military ID, valid for dine-in only. Go here to find a location nearest you. On Sunday, November 11th, Max & Erma’s will be offering up a free 1/2 lb hand-crushed cheeseburger, endless seasoned fries, and a fountain drink to all veterans and active duty military! Please note that this offer is for dine-in only at participating locations only. Go hereand scroll down for more info. On Sunday, November 11th, McCormick & Schmick’s is offering all veterans and Gold Star honorees (parents and spouse) a free entréewith military identification, valid for dine-in only. On November 11th only, all veterans and active duty military can receive the first 6oz of yogurt free with a valid military ID or proof of service at participating Menchie’s locations. Go herefor more information. In honor of the Veterans Day, you can take advantage of an entrance-free Day at over 400 participating National Parks on November 11th only. Check out the list of participating parks here. In honor of Veterans Day, all active and retired military service members are invited to enjoy a free meal at O’Charley’s. Veterans can choose from O’Charley’s “Veterans Thank You Menu” all day on both November 11th and 12th simply by showing their military IDs. Restaurant participation may vary by location. On November 11th, veterans and active duty personnel can choose from six popular entrees for free from Olive Garden’s menu with proof of military ID, valid for dine-in only. Contact your local store for more details. This restaurant plans to thank active and former military members for their service on Sunday, November 11th, with a free meal. Simply present proof of military ID or service, and enjoy a Free Create-Your-Own Combo 2 Meal. Choose any two items from the combo menu like tacos, enchiladas, empanadas, mini chimis, and more at On The Border! All are served with Mexican rice and beans, plus endless chips & salsa. All servicemen and women, police officers, firefighters, and all first responders can get 10% off their entire Outback Steakhouse check every day (excluding alcohol) with a valid state or federal service ID. From November 10th – 12th, active duty and retired military veterans can redeem an offer in the Pilot Flying J app for a free Pilot Coffee of any size with their choice of a PJ Fresh breakfast sandwich, packaged pastry item, or a Cinnabon Center of the Roll. Head here for more details. On Sunday November 11th, from 7 am – 7 pm, active duty military and veterans enjoy a free coffee & donut at Price Chopper Supermarkets! Plus, Honor Flight Bouquets will be available for $7.99 through Veterans Day. Portions of the proceeds donated to the Honor Flight Network. On November 11th, veterans, military personnel, and their families are invited to save 10% on groceries at Publix. Excludes prescriptions, alcohol, tobacco, gift cards, lottery tickets, postage stamps, money services, Publix Delivery, and Publix Curbside. Customers are responsible for all applicable taxes. To thank veterans, active duty military, and reservists for their service, Red Lobster is offering a free appetizer or dessert on Sunday, November 11th, and Monday, November 12th, with valid military ID or proof of service. On November 11th only, Red Robin is honoring veterans and active-duty service members with a free Red’s Tavern Double Burger with Bottomless Steak Fries with proof of service, valid for dine-in only. Through December 31st, 2018, all active duty and veterans can enjoy 20% off Red Roof Inn’s best available rate for stays reserved through February 28th, 2019, when using VP#623095 at checkout (may not be available on high demand nights). On November 11th, all veterans and active military will receive a free Mom’s Ricotta Meatballs + Spaghetti at Romano’s Macaroni Grill with military ID. Go here for more details. On November 11th only, veterans, active duty, and reserve service members can get a free appetizer from Ruby Tuesday (up to $10 in value) with valid military ID. Dine-in only. On Sunday, November 11th, 2018, Sheetzinvites all veterans and active duty military personnel to enjoy a free six-inch turkey sub and a regular size fountain drink at any of Sheetz’s 582 store locations. Plus, Sheetz locations offering car washes will also provide a free car wash to veterans and active duty military. Military ID or proof of service must be presented to qualify. Shoney’s is offering up a free all-you-can-eat breakfast bar to veterans and active duty military service members on Monday, November 12th, from 6 am – 11 am at participating restaurants with a valid military ID. Spaghetti Warehouse is offering up a buy 1, get 1 free 15-layer Lasagne, Grilled Chicken Alfredo, or original recipe Spaghetti entrée – valid from November 9th – 11th! Just go hereto print your coupon. On Veterans Day, November 11th, $1 from every Sports Clips haircut service will be donated to the VFW’s Sport Clips Help A Hero Scholarship program. Go here for more details. Also, participating Sport Clips locations will offer free haircuts to active duty military and veterans (with valid ID). For a list of stores offering free haircuts on Veterans Day, please click here. Veterans, active duty service members, and military spouses can enjoy a free tall (12 fl oz) hot brewed coffee on Veterans Day (11/11) at any participating Starbucks store. Through November 12th, Target is offering ALL active duty military, veterans, and their spouse and/or dependent children a coupon to save 10% both in-store and online! 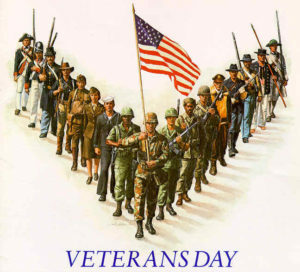 On Sunday November 11th, and Monday November 12, two Veterans can eat FREE at Texas de Brazil! Even sweeter, up to SIX additional guests score 20% off their bill! On November 11th, veterans will receive a free lunch from the special Veterans Menu at Texas Roadhouse with proof of military service. Head over here for details. If you are a Verizon Up Rewards Member anda veteran, check your account for a possible FREE $5 AMC Theaters eGift Card in celebration of Veteran’s Day! Go here for more details. All veterans and active duty military can grab a free Chili Dog, Small Fries, and a Small Pepsion November 11th from Wienerschnitzel. Just present your military ID or wear your uniform. On November 11th only, all military and veteran heroes will get 11% off your total Winn✓Dixie bill with valid military ID (excludes alcohol, tobacco, gift cards, money orders, postage stamps, pharmacy prescriptions, fees, FTD, charitable donations, Western Union, shipping, utility payments, fuel, service departments, vending machine, bottle deposit/refunds, tax, event tickets, prepaid products, or lottery purchases). On November 11th, 2018, veterans and active duty military will receive a complimentary appetizer with valid military ID, valid for dine in only.